Prior to joining Stirling, Will was a Lecturer in the Civil Society and Governance Research Group at the University of the West of Scotland. Previously he was a lecturer in sociology at the University of Strathclyde, and before a Research Fellow at the Centre for Risk and Governance, Glasgow Caledonian University, and the Stirling Media Research Institute at the University of Stirling. He has also been a visiting lecturer at the Department of Politics, University of Glasgow. 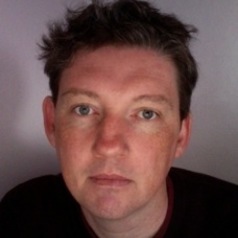 Will has worked on a number of funded research projects, including Political Communication and Democracy (ESRC Media Culture and Media Economics Programme) Political Communication and the Scottish Parliament (ESRC Devolution Initiative) and Corporate Public Relations in British and Multinational Companies (ESRC).